My only intent in visiting Boundary Bay was to get a glimpse of Snowy Owls. I’ve never seen them in the wild, and although I brought my camera, I didn’t expect to be close enough to get any shots. My gear has its limits, and I also knew the owls were celebrities among birders and photographers. Having quiet, contemplative moments with my camera was not on my personal agenda that day. What happened instead is that we encountered behavior in the field that quite upset me. It always does when I see people doing things to disrupt wildlife. But, I’d never been to one of these rare-bird frenzies (I avoid them on purpose), and I think the number of breaches in the field — well, what I saw as ethical breaches — was dramatic enough to shift my perspective. My first response, if you were here the other day, was to call out the questionable behavior in a post. Usually, my subsequent response is a bit more circumspect. In observing these photographers, then responding to emails from a few people who were upset by my views, I’m reconsidering my own methodology, my own motivations and my own conscience in issues of wildlife and wildlife photography. I saw people at Boundary Bay whose sole motivation appeared to be the shot. In the case of the owls, they were going for the shot — eye level, clear backgrounds or Mt. Baker as a backdrop, great light. I’ve seen some of those photos online now and they are gorgeous, there’s no question. There wasn’t one person standing on the dike trail with camera gear who didn’t understand why those guys were out there. It wasn’t our lack of ingenuity or courage that kept us on the trail. In browsing through threads at photography and birding forums, I found that Boundary Bay is now a frequently discussed issue in terms of wildlife photography ethics. My anecdotal reading suggests about 75 percent of fellow photographers are unhappy about the marsh behavior, and maybe 25 percent defend it. Again, it’s totally unscientific but there seemed to be one or two defenders of marsh photographers in each thread. In reading those posts, I came upon a comment from someone that redirected my thoughts. He said, “there are a lot of people out there with wildlife photography gear. 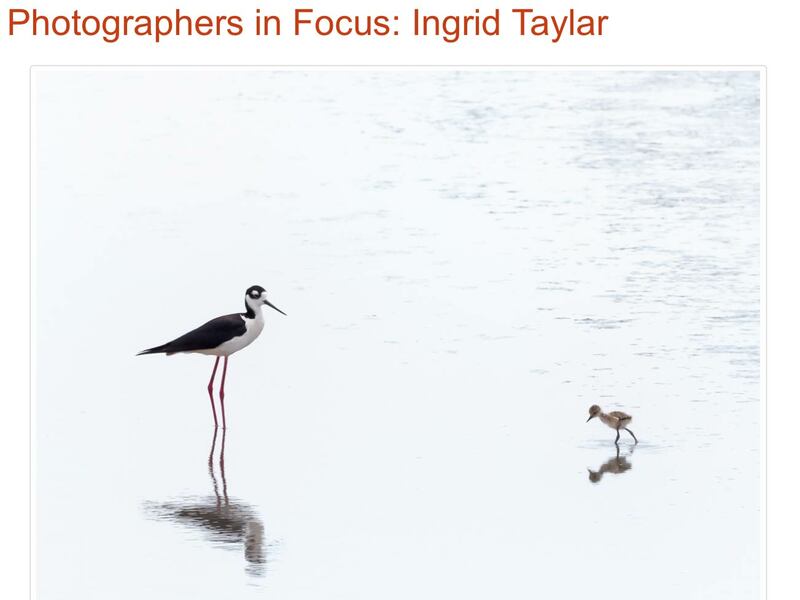 But I meet very few wildlife photographers.” He went on to explain that in the film days, most wildlife photographers he met had grown into that role from their early passions as birders, naturalists or even hunters. There was an underlying connection to the animals they were photographing that transcended mere technical aptitude. I can’t say if this is true, because when I bought my first Fujica SLR in the late 70s, I didn’t have the money for anything but a kit lens, not to mention extra dough for film. So, I’m one of the new crop of wildlife photographers he mentions — and a work-in-progress at that. I can’t compare what’s happening today to what happened back then. We all know the Mutual of Omaha wildlife stories, so I’m reticent to idealize. Maybe some of you can speak to that. Today, however, the sheer number of people who are capable of getting the shot is almost limitless. And, unfortunately, I don’t see our resources or our wildlife as limitless, considering the consistent threat our expanding population poses for habitat and ecology. The photographers at Boundary Bay who flushed owls, and who thought the “please don’t approach owls” signs didn’t apply to them, were not putting those priorities ahead of their photography. They were not living as examples of conservation and respect for the environment around them, the way I suppose I expect wildlife photographers to be, in my own subjective understanding. The situation there was such a vivid example of that concept, it’s made me turn the lens on myself and scrutinize my own behavior — as in, have I ever done something similar? I didn’t start out quite as judicious as I am now. I made the same mistakes many beginning wildlife photographers make in not fully grasping the nuanced reactions I should have been looking for. I was lucky to be mentored by an avid birder from my wildlife hospital — an amazing person I call Bird Master, who schooled me in birding etiquette. But, she wasn’t always there to supervise my outings and suggest better ways to go about my practice. My biggest error in those days was not understanding which species tolerated us well, and which were quite afraid. I learned quickly that pointing my lens at a migrating duck flying overhead caused it to divert course. My learning curve was pretty fast, because I hated seeing those reactions in the animals. But it was, still, a learning curve. Now that I know more, now that I have hundreds of thousands of clicks under my fingers, I’m asking myself, what is the whole purpose of my photography as an endeavor? Short of the immediate gratification of a good shot, what is it all for — particularly in a field where the well-being of other living things must be considered? This last question is the one that’s put me into a head spin of rumination these past couple of days. What is it all for? Watching people stalking birds for the shot made me feel culpable by association or maybe, more accurately, it made me ask whether any photo is worth the trade-off of entering a wild animal’s space. There are very few shots anymore that can’t easily be acquired by someone with much better lens than mine, and more access to exotic wild places and animals. I don’t encounter a lot of first-response photographic situations, like the Cosco Busan oil spill where I was able to document oiled birds while assisting with rescue efforts. I’m most gratified when something I shoot can be used to document a larger, more important issue, or can be donated or auctioned or sold to help wildlife organizations. I’d like to put my photography to more such uses. But short of those experiences, what am I doing this for on the other days? In answering that question, it became clear that I simply wouldn’t thrive if I couldn’t interact with animals this way, but it’s not camera dependent. If you took away my E-3 and my tripod, I’d still be in the same places, doing the same things, sitting on the sidelines watching White Pelicans preen and Willets paint Escher patterns on the sky. It’s been in my blood since I was born, owing, perhaps to the animistic origins in my Latvian heritage or to the similar sensitivity of my parents. As a little kid, I used to dawdle wherever I thought animals might be, and can’t even count the hours I spent staring at creek waters, just hoping a fish would pass through unexpectedly. I’ve never outgrown the sensation of a missed heartbeat when I see movement in my periphery, or see something as fantastic as a set of ears or antlers in the scrub. My ultimate hope, if I can be so ambitious, is that someone who previously didn’t understand, can — through a photo or a post or a conversation — gain a greater understanding for the animals and spaces I love and work to protect, and then develop a similar protectiveness for this place we all, all of us species, call home. What’s changed for me after Boundary Bay is the shots I’ll be willing to take. As I mention, even in my own ethical mission statement, we all flush birds sometimes. Even walking on a trail causes disturbance. But, I like the Buddhist idea of “right intent” … a commitment to ethical self-improvement. I will be much more selective about my intent when going for a shot. There are times I’ve pulled out my camera for a quick shot, even knowing the light wasn’t just right. Was it worth putting an animal in that single moment of potential stress, with a human predator pointing an object at them, for a shot that probably would be nothing more than average? Today, we took a walk on the waterfront on a deep-freeze day, with wind so bracing I couldn’t even bring myself to pull my camera out of the bag. Still, as we were walking, a huge raft of ducks — I mean huge — appeared in a breakwater area of the waterfront. Right by the trail, hundreds of Goldeneyes, Scaup, Surf Scoters, American Wigeon, Red-breasted Mergansers and other birds swam in peace alongside us. I knew that if I brought out my camera and pointed it — especially at ducks who are skittish — there was a chance they’d paddle away. So, we just stood and watched as they tilted their heads and eyes back toward us. And it was a moment of connection to see them preening, swimming, diving, and utterly comfortable with our presence as fellow beings on the shore. Those are the best moments in photography, too — when the animals invite you into their world by virtue of your patience and your craft in quietly blending in. I try to see adverse events and challenges in life as opportunities to learn something. During my last rumination on photography — and on purpose and beingness in life — I wrote this too-long treatise I called The Being Versus the Getting, which helped me be less acquisitive in the field. So, in a backward kind of way, I guess I have to thank the photographers in the field at Boundary Bay, for reminding me to, yet again, reassess and improve my own behavior and actions. Thanks, too, to the lovely Karen for posting her own reflections on ethics at her blog, and to Mia for the ethics issues she addresses at her beautiful photography blog. Your words and thoughts give me much pause for thought. All images shot with my now-old Olympus E-3 and Zuiko 70-300mm (600mm equivalent reach). The Northwest light was heavily muted — through clouds, so it actually had to be about the moment for me, not the shot. Ingrid, good words. I had to post as I think the overall attitude of the new age wildlife photographer is just a common swath of human nature now in internet era. Greedy and lazy. Everyone wants to be a hero and with digital and auto everything cameras, most anyone can. This is the American Idol generation, the instant everything crowd. Everyone thinks they can be a true artist. The fine craftsman are lost in many ways now. Post production sharpening contrast etc.. I wonder if most folks even worry about composition when taking, or do they fire at 8 frames per second and let technology do the work? Don’t get me wrong, I enjoy the post production magic, but I never feel the satisfaction I once felt upon seeing slides or prints for the first time and knowing that the product was set-no fixing beyond cropping. Old school wildlife photography was film/expense/skill and luck. I think today we have lost it all. I can’t imagine there is much of a niche anymore in being a wildlife photographer. There are great photos from point and shoots even. Competition is up 10,000x. Art Wolfe must shake his head and be grateful he had some great decades prior to digital. Everyone has their own way but I find that, like you, it is not comforting to chase birds that have been found by the masses, and I see sad exploitation by the masses with tweeters type websites (so hypocritical a site aot of the time and plain snobby (personally, chasing a life list to me that requires another birder finding it, often a plane trip and carbon footprint getting there a joke) and it’s especially discouraging rubbing elbows with people who you thought were like the person you are and then seeing them as cold, hostile, immoral. They are not concerned at all about the creature, just the image. This is trophy hunting in every way other than the corpse, and with the harassment, they get that too often. I’d encourage everyone to get an old school lens, slap it on your digital body and shoot away. You’ll have to think manual focus, you’ll miss a ton of shots, miss exposures and miss the bird.. and then climb a great ladder of satisfaction when you get a keeper knowing you may have created a great image with skill and perseverance. Whatever route, everyone has an obligation to protect nature when so many are ruthlessly destroying not only their lives, but their anonymity in our world. A great lesson I learned while trekking in Nepal years ago with many cameras was from an older Sherpa gentleman on the trail. He said he respected the people who never brought any cameras and kept it all in their head and heart. Wow. He was right and I hope to make a trip back sans camera. This is not a anti-camera rant or anti-technology rant, just throwing out the idea that less is more, often. and get a perspective that does nature the least damage while educating and encouraging conservation. John, what a thoughtful and exceptional response. I appreciate your time in delivering this beautiful message. I will remember the advice of the Sherpa throughout my endeavors: keep it all in the head and the heart. As I’ve written before, a lot of us in the beginning are driven by at least some acquisitiveness. I admit to being far too excited about using my telephoto in the beginning, although I changed my perspective rather quickly. I like your analogy to trophy hunting. You’re right. And it points to two dramatically different motivations for being out in the field. Any trophy hunting, lethal or not, probably has at its core a philosophy of utilitarianism. That’s what I often find when I speak to people who’ve managed to disengage from animals as entities, in any context. I am drawn to the philosophical schools which teach about inherent value as opposed to perceived value. It’s funny and disappointing how we humans, who pride ourselves on this elevated sense of intelligence and understanding, so frequently misunderstand, based on our narrow, anthropocentric focus. Your comments on the darkroom would resonate with Hugh. I would go so far as to say he had a relationship with that darkroom and the process you describe. The other day, I exchanged emails with a friend who photographed my nieces and nephews when they were small. She’s digging out the negatives for me, and as I was looking over the contact sheets, I felt that visceral pull toward analog, if you know what I mean. Record albums and word-down needles on the turn table — I guess I would say the “preciousness” of an era where things just weren’t so expendable. Your posts about the Snowy Owls of Boundary Bay have been wonderful and informative. For me being out in the field isn’t just about my photography, it is also about connecting with nature, observing behaviors, studying habitats and feeling a keen sense of belonging in and to the natural world. I’ve never outgrown the missed heartbeat either even for something as common as a Coyote pouncing on prey or a butterfly sipping nectar from a Milkweed. Even if I didn’t have my camera in hand those events would still touch a chord deep inside of me. Mia, I received a lovely email from another photographer, expressing a similar sentiment — that it’s his connection with nature and animals that drives him to photograph. I do think the camera allows for a deeper connection in some ways, don’t you? There’s the time invested in the waiting and the photographing, and then there’s the time spent in post-processing where you’re extending your relationship with that blip in time, with the four-legged or feathered person in the image. (I always like the Native American designations of “four-leggeds” and “flyers” and so forth, implying much less of a separation when we consider ourselves as mere two-leggeds in this vast landscape.) When I look at the photographs I’ve taken, what comes to mind is always the memory of where I was, how it felt, and then the overwhelming joy of having been invited into the animal’s kingdom for just a moment. You are so right. I also think that having my camera gives me a deeeper connection in some respects, I know I can see the birds or animals close up looking through the lens and can do that without approaching too close. I feel I disturb the birds or animals less that way. Plus I can see small movements or fine details I would not see with my naked eye. I feel that with every photo I have taken I can look at it and the memories come alive just like you stated. It is nature that drives me to photograph too other wise I’d be taking images of motorcycle races, building or who knows what and that just does not interest me the way nature does. I hope that when I share my images by posting on line, in publications or for use in educational programs that it brings others in touch with the wild, free nature of the subjects shown. For me; nature is my passion and has been for as long as I can remember. I don’t see that ever changing. I have also made some mistakes with wildlife in the past, and some as a landscape photographer. Things I’ve done, and relatively quickly realized I shouldn’t be doing and stopped, or things that after thinking about it I will not do again. I think there is a big difference between someone who is willing to learn the right and ethical way to go about these things, while making a few mistakes, and those who do not care at all and continue to use “getting the shot” as their sole motivation. The first person is the one you can talk to and they will rethink their actions, and I believe I might have talked to one of those at Boundary Bay when I was there. He didn’t see the big deal about going in the marsh (though he did agree about not approaching the owls). I explained it. He asked why I thought I knew how this worked – and I pointed out my Biological Sciences degree… which seemed to sway him (it shouldn’t make a difference). Hopefully, he will think about that and perhaps not go out into a place such as this, if he ever did. The second type are the ones you are fielding emails from on your other posts – I suspect they will always think their motivations are more important and wildlife or habitat and a conversation will do little to change their opinions. I think much more about direct physical damage to habitat as I am mostly a landscape photographer, and generally photograph wildlife if they happen to be nearby, or in a rare case like this years Snowy Owl irruption. The issues are the same though, and the people who damage habitat or try to cut their own trails around switchbacks on a mountain are likely the exact same ones who think making wildlife fly away in fear is a great way to “get the shot”. These are the people who I wish to have interactions with Park Rangers, bylaw enforcers, and other government officials. Maybe a fine will get their attention. The rest likely just need some education – and that is why I have enjoyed your blog here the last few days I have been reading it – and that is why I think I will always point out ethical concerns when I do post a wildlife photo. I agree completely, Michael. Even today, I was out walking and accidentally flushed a Red-tailed Hawk from his perch. I didn’t mean to, it just happened by virtue of me being out there. It doesn’t make me happy when that happens, but it is a reminder that we rarely engage without some effect, even if it’s not serious, lethal or intentional. I wish I had your background to substantiate my contentions in the field, because I think cachet is important when you face cynicism or resistance. I’m glad you had a potentially positive encounter, as well. Your comment — “these are the ones who I wish to have interactions with Park Rangers, bylaw enforcers and other government officials” — yes. I wish the same. I do realize a lot of people don’t fully understand what a “marsh” or wetland is, nor are they aware of its sensitivity or importance as habitat. Obviously, it wasn’t that long ago that marshes were considered useless swamps to be drained or dumped upon. The sad thing is in a world full of inmates in jails and prisons for those CAUGHT doing unspeakable acts against other humans, we are hoping to sway individuals to “sort of keep” away from owls that are not endangered and so lightly protected as a non-game bird that no one is really watching of any authority. We are hoping for self-regulation, self-control. The church pews are filled with those in conflict, might as well add a birding section (whatever works is peachy!). People steal cars and jump razor wire so if we hope that others will heed signs that suggest you stay off the tidal flats, it won’t happen and then the next guy says, “we’ll if he can I will too..” then the whole penguin into the ocean stream happens. I truly feel the only way to protect animals is strict regulations on land they may be and let them be. I hope the Ocean Shores spit separates from the mainland just enough next time….. I practice it anytime I see ducks or geese next to a road in hunting season some hunter can shoot from. Also, at Ocean Shores, more than a few times I made it as close as I thought safe of a distance for an owl only to have it fly to closer and land and took shots that resembled an everyday photo-op at Woodland Park Zoo.